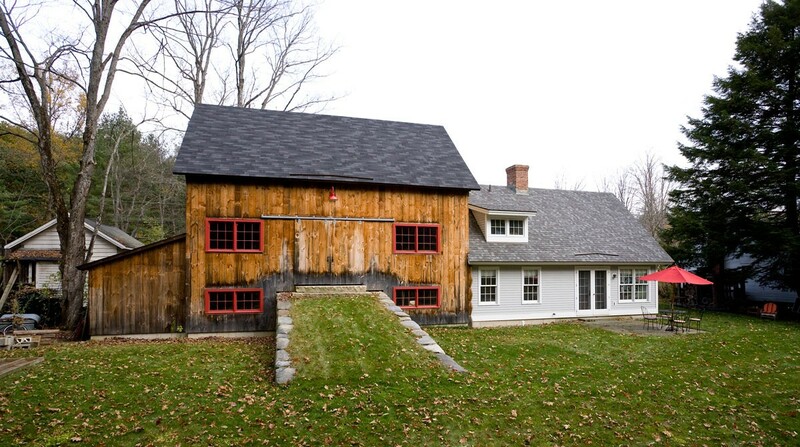 An existing barn and attached guest house located near the main house had fallen into disrepair. 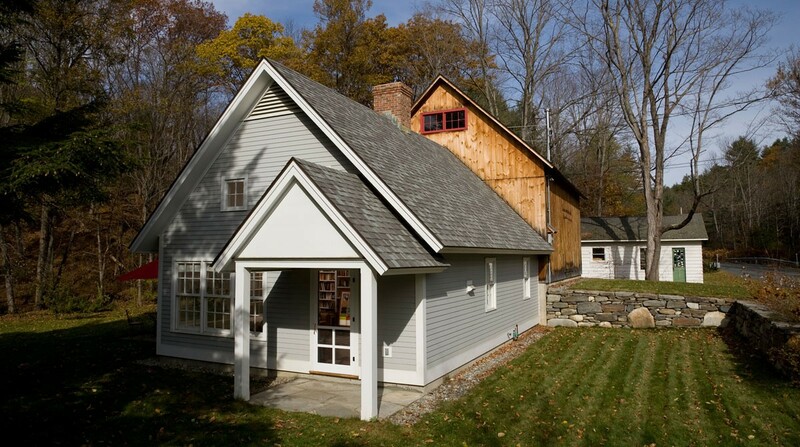 The barn frame was salvaged so that it could be repaired and reassembled on a new foundation. The guest house was demolished and replaced with a home for grandparents’ extended visits and for friends. The new structure recalls the massing of the original and includes an open living area with a kitchen, bedroom and a bathroom. 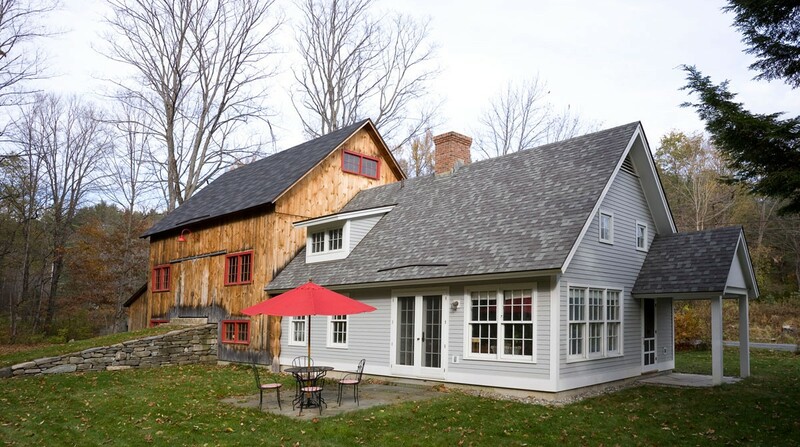 The upper level of the barn is approached from the yard by a generous fieldstone supported ramp and is used for parties and rainy day activities. 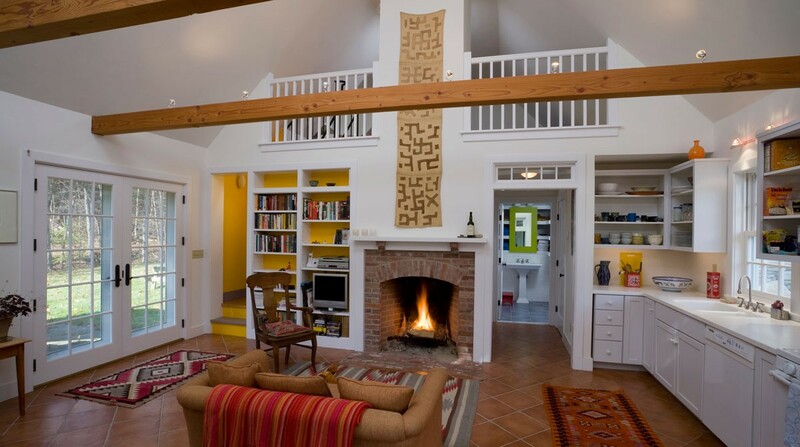 The guest room/ loft above is accessed by a narrow stair hidden behind the fireplace.